← MILITARY MADNESS: HAS OUR SPECIES BECOME INSANE? When this article was initially re-blogged on this site, I made an error and included a photo meme that used the words “REAL JEW NEWS” which was immediately removed when I caught the error because Zionism, a political ideology that includes many non-Jews (Columbus and the Pilgrims were among the fist known “Christian Zionists” who saw from the book of Revelations in the New Testament the “return” of Jews to “Zion” as the precondition for “The Rapture” or return of Jesus and which some Jewish Zionists saw as the precondition for the first return of “The Messiah”) is not ever to be equated with Judaism not only because some professed “anti-Zionists” are in reality just old-fashioned anti-Semites in new clothes, but also because Zionism not only is fascism and racism incarnate, and thus anti-Jewish and against the “First Mandate” of Righteousness governing all real Jews, but also will ultimately do to the Jewish people what the Nazis dreamed-of and were on their way to completing: the total destruction of many or most Jewish people as well as many non-Jews who were also the targets of the Nazis THEN AND NOW. This website includes views from a variety of political perspectives–focus on content, critical issues of our times, facts, law, reason and evidence not ideology–but will never tolerate or promote rank anti-Semitism under the guise of anti-Zionism. This blogsite is about “SEEK TRUTH FROM FACTS” AND NOT IDEOLOGICAL DOGMATISM. The program takes law enforcement officials from the United States and sends them to Israel for training in the “strategies and techniques perfected by Israeli law enforcement.” Amerson, past president of the National Sheriff’s Association, made his trip in 2012. Along the way, he reportedly benefited from a “greater understanding of the situation in Israel as it relates to terrorist threats.” JINSA also hosts conferences in the U.S. where Israeli officers are brought over to brief American law enforcement officials. The American Israel Public Affairs Committee (AIPAC) is also involved in the effort to indoctrinate the U.S. law enforcement community. Its website’s Homeland Security Monitor chronicles numerous meetings between Israeli intelligence and police officials and their U.S. counterparts, to include numerous trips to Israel to learn from the masters of the craft about various aspects of security, including controlling borders and airports. Even firemen have made the journey, presumably to learn how a fire in Israel differs from a fire in the United States. Ironically, American law enforcement and emergency services are every bit as capable as those in Israel and really have nothing to learn. The difference in practice is that Israel uses extensive profiling to identify threats, which means Arabs are regularly stopped and questioned. Exposure to that dubious technique is often paid for by the U.S. taxpayer as much of the travel to Israel is funded by the Department of Homeland Security (DHS), which provides billions of dollars in training grants to cover the expenses. Marc Kahlberg of International Security Consulting offers a package that is called “Eye of the Storm.” He promises “an exclusive learning tour into the heart of Hebron. As Hebron is the largest Arab city on the West Bank with a population of 250,000 that against its will hosts an illegal Israeli settlement of 1,000 protected by the police and army, it promises to be an interesting experience. It has been reported that when the United States was attacked on 9/11 Israeli Prime Minister Benjamin Netanyahu was pleased because he understood that Washington and Tel Aviv would now be joined at the hip in their mutual response to what Israel has been defining as terrorism. When Netanyahu spoke before congress shortly afterwards he said “We are all targets” before engaging in a number of meetings instructing Washington regarding what must be done. Netanyahu’s Israel succeeded beyond its wildest dreams, exploiting the incident to such an extent that the United States has adopted wholesale Israeli perceptions of Middle Eastern politics. Beyond that political assessment, the Israel-terrorism nexus operates on a number of levels. It has been sometimes noted that the United States has adopted the Israeli model to deal with terrorism, so much so that American politicians sometimes consider Israel a component of U.S. national security. The federal bureaucracy has also been changed to accommodate the new reality. Since the Clinton Administration, every senior diplomat or official dealing with the Middle East region has had to pass through a vetting process to ensure full support of and deference to Israeli interests, which include its view of the terrorist threat. Non-compliance is career ending. Chas Freeman, who was named to head the National Security Council in 2009, was quickly forced to step down when it was determined that he was not sufficiently pro-Israel. Since 2001, many senior appointees throughout the federal government have gone one step farther, no longer making any effort to hide their strongly pro-Israel sentiments. Witness the ascendancy of Paul Wolfowitz, Doug Feith, William Boykin, and Eric Edelman at the Defense Department under George W. Bush. Given the openly expressed identification with Israel at the Pentagon and National Security Council it is no surprise that Washington and Tel Aviv appear to align completely on how to combat terrorism. Both claim the right to engage in preemptive warfare and to assassinate people in other countries without any transparent legal process. Both operate lethal drones to kill suspected militants on the ground, both have engaged in torture, and both operate high security prisons containing numerous suspects who are described as terrorists but who have never been and quite likely never will be tried. Many of the detainees have been confined for years and will undoubtedly die in prison without ever being charged with a crime. Some of them are surely innocent. The Israeli-American model for dealing with terrorism is itself unusual. Historically speaking, countries that have been plagued with a terrorism problem have focused on countering that specific threat without seeking to expand the conflict. But that has not been the case for post 9/11 America, with George W. Bush grandiloquently proclaiming a global war on terror which was later euphemized into a “global freedom mission” under Bush and as “overseas contingency operations” under Barack Obama. Israel meanwhile set the framework for the program, defining the terrorist threat against itself and Washington as “radical Islam,” a phrase that has been readily picked up by American politicians and the media. Radical Islam implies a worldwide struggle that is frequently conflated into a complete rejection of political Islam and suspicion regarding the intentions of anyone who is a practicing Muslim, a predisposition that is playing out currently vis-a-vis Egypt. 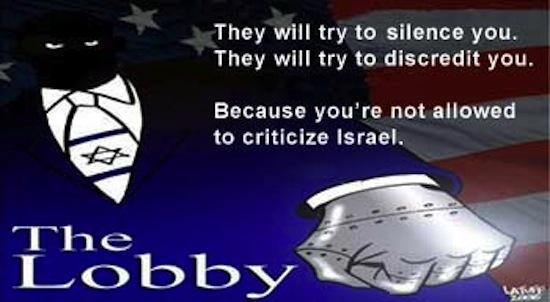 Israel has also done much to name the players and define the playing field. The hypocrisy of the process is evident when groups like Hezbollah and Hamas are thereby identified by Washington as “terrorists” even though they do not threaten the United States and see themselves as national liberation movements for the Palestinian and Lebanese people. Meanwhile, groups like the Mujaheddin e Khalq (MEK), which have actually killed Americans, have been removed from the State Department list because they are perceived as enemies of the regime in Iran and are therefore by extension friends of Israel and its allies in Congress and the media. Less visible is Israel’s hand in shaping and profiting from the domestic agenda against terrorism, which is where Sheriff Amerson comes in. The disparate groups that make up The Lobby are active in creating the tie that binds regarding the perception of terrorism on the ground and they do it through exchange programs and the actual involvement of Israeli security companies and contractors in the lucrative homeland security marketplace. Israel is a militarized state and the United States over the past twelve years has also moved in the same direction vis-a-vis its own police forces, a development that again reflects the priorities of national and local governments and the predilection to deal with the perceived terrorism threat through the use of overwhelming force and intimidation. It has been noted that the terrorism threat itself is greatly exaggerated, with more Americans killed by falling television sets than by terrorist action, but this has not stopped the proliferation of state level departments of homeland security, fusion centers for sharing information, and the introduction of consultants and security service providers at all levels. Much of the activity is either wasteful, redundant, or completely unnecessary. America’s seventy-two fusion centers, where many of the Israeli contractors and advisers wind up, have been denounced in a Senate report as useless, ineffective, and frequently engaged in spying on American citizens, particularly Arabs, but also including anti-abortionists and Ron Paul supporters. 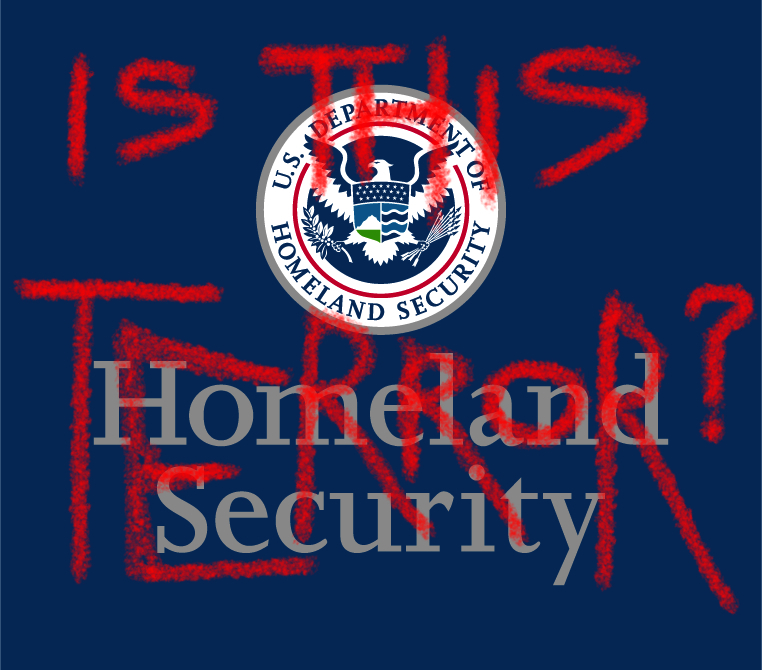 This effort to turn a buck from the woefully mismanaged Department of Homeland Security is multifaceted. The Israeli newspaper Haaretz reports that fully 97% of DHS discretionary grants are given to Jewish organizations even though Janet Napolitano has admitted that there is no “specific, credible threat” against Jewish targets. And the flow of money is combined with similar efforts being undertaken by other elements in the Israel Lobby to influence opinion and create an American national consensus unshakably favorable to Israel. The Israeli arms and security industry, which is partially “covert” so it can sell to countries and rulers on arms embargo lists, is a partner to the process. It is now the fourth largest weapons exporter in the world, behind only the U.S., Russia, and France. It has 6,800 licensed arms and security services providers, making it the largest industry in Israel. Israeli companies can and do bid on federal and local government contracts in the U.S. and they are also able to export their products freely to America thanks to the Israel-United States Free Trade Agreement of 1985 and the Counterterrorism Cooperation Accord Between the Government of the State of Israel and the Government of the United States of America of 1996. This direct involvement of Israel in American security has been recently expanded through passage of 2012’s United States-Israel Enhanced Security Cooperation Act. Israeli companies dominate the international airline security industry, frequently doing double duty as the covert, local Mossad station, but their failures are better known than their successes, including the case of the Nigerian underwear bomber Umar Farouk Abdulmutallab who was ultimately detected by an alert passenger. Israeli technology companies also produce many of the devices used by police departments and the FBI to tap telephone conversations and record call data. And the employment of their high tech telecommunications equipment comes at a national security price as, for example, they exploited a back door in the technology to listen in to White House phone conversations during the Clinton Administration. Israeli contractors and companies dot the homeland security landscape but only rarely attract any attention. One notable exception to that rule was the 2002 attempt by New Jersey governor Jim McGreevey to appoint an Israeli Golan Cipel, who was also his lover, as his Homeland Security adviser. The companies sometimes boast about their role in the occupation of the Palestinian West Bank. They claim to provide what they describe as “real” experience and expertise based on their recurring conflict with their Arab neighbors. They often combine that narrative with proselytizing their point of view about the politics of the Middle East. The Israel Law Center (Shurat HaDin) is currently offering an October “Israeli Adventure of a Lifetime – the Ultimate Mission to Israel,” which includes meetings with Mossad officials, observing a trial of a Hamas terrorist, riding an ATV on the Golan Heights, and a briefing by Israeli soldier heroes, all experienced while residing in five star accommodations. It is something like Disneyland with guns and real live Arabs to shoot at. If one starts looking, scores or even hundreds of Israeli companies and consultants pop up nearly everywhere in U.S. national security while a search of the Israel-America Chamber of Commerce website did not identify even a single American security company operating in Israel attempting to obtain Israeli government and private sector contracts. Israel’s Security Solutions International offers U.S. taxpayer funded training courses using “Israeli veterans” as instructors. 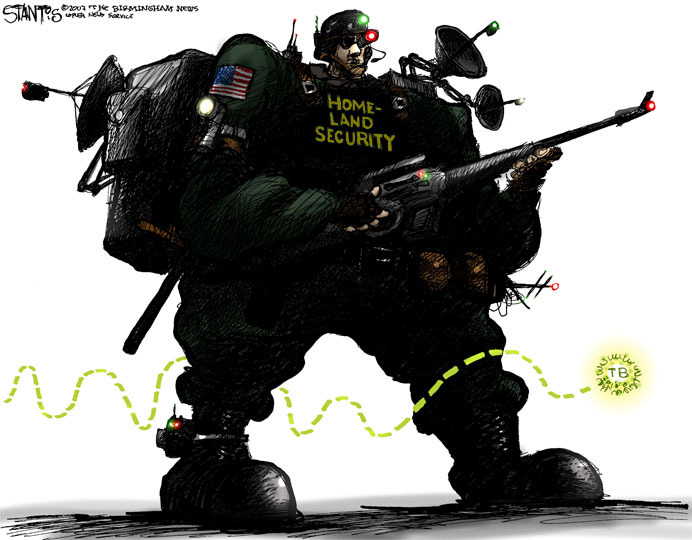 Defense contractor Elbit Systems is providing spy towers on the Arizona border with Mexico. Magal Security Systems, which has four subsidiary companies in the U.S., has a contract for security at American nuclear power plants. Rozin Security Consulting provides security at Mall of America, using its trademarked Suspicion Indicators Recognition and Assessment System, which is basically profiling. Global Security International, with offices in New York City, offers consulting services relating to counter-terrorism operations. The broader question American taxpayers should be asking themselves is whether the hundreds of billions of dollars being spent on national security is money well spent. Israel has a vested interest in making the terrorist threat appear more real than it actually is and also to present itself as the only reliable partner of the United States in the war against global terror. It also profits substantially as its companies and former security officers have exploited their “real experience” credentials to entrench themselves in U.S. homeland security at all levels. With the aid of the domestic Israel Lobby, Tel Aviv has become adept at selling a product, which includes the false depiction of Israel as the victim in the Middle East. This victimhood has apparently obtained traction in the United States, where politicians and the mainstream media persist in describing the nation with the world’s largest economy and most powerful military and security forces as somehow threatened. Israel has certainly done its best to encourage that mindset. This entry was posted in 4th Media, FALSE FLAGS, Fascism in America, FBI-CIA MACHINATIONS, FBI-DOJ CORRUPTION, global research, Government Corruption, Hubris and Braggadocio, IMPERIAL HUBRIS AND INTRIGUE, Imperial Hypocrisy and Intrigue, International Law and Nuremberg Precedents, iNTERVIEWS ON CRITICAL ISSUES OF THE TIMES, JSOC and SOC, Mainstream Media (MSM) Shills, Meme Warfare and Imperialism, MSM Mainstream Media Sycophancy, NATIONAL SECURITY-SURVEILLANCE STATE, Psychopaths and Sociopaths in Politics, Psyops, Social Systems Engineering Campaigns, U.S. and British Imperial Intrigue, U.S. CULTURE OF FEAR AND NARCISSISM, U.S. Govt and Al Qaeda, U.S. IMPERIAL DECLINE, U.S. Intelligence and Fascism, U.S. 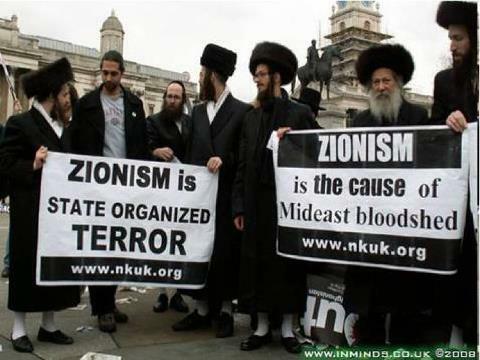 Terrorism, Zionism as Racism and Fascism. Bookmark the permalink.